California is a wonderful part of the world with some of the best cities in North America and a spectacular coastline but perhaps one of the best places to visit is the Napa Valley. The Napa Valley has to be one of the top places in the world to visit with spectacular mountain scenery coloured with trees and ever changing vines as the grapes mature and are harvested to make some of the best wine anywhere. The Napa valley has six major towns from Napa in the south to Calistoga in the North. 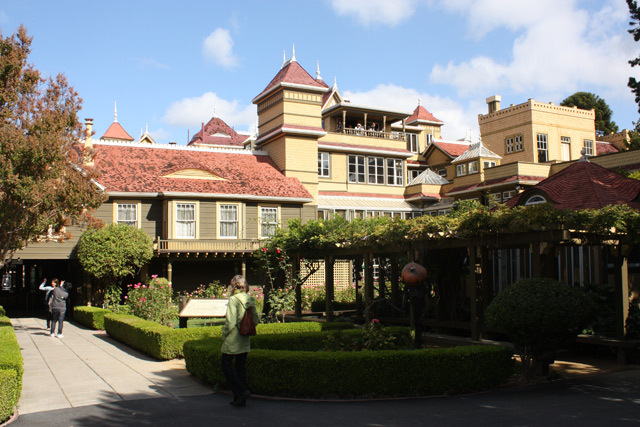 Napa is perhaps the best place to use as a base to tour the wineries whilst taking in the activities that Napa has to offer. We stayed at the Napa River Inn. The Inn is housed in the Historic Napa Mill established in 1884 and now an historic landmark. For over 100 years it acted as a warehouse providing fertilizers and supplies to the wineries and storing the finished wine for transport down the river to San Francisco. The Napa River Inn is ideally placed at the centre of the downtown area and offers views across the river and riverside walks to help you enjoy the Californian sunshine. The River Inn site offers restaurants, shopping and a Jazz club so if you do not want to venture more than a few yards from your hotel its all there. And if that is all you want then that is just fine, the hotel is really first class with friendly and attentive service. But Napa and the valley is all about wine. A trip around Napa will let you sample many of the delights that the vintner’s art has to offer but possibly the best way to experience what the valley has to offer is to take a trip on the wine train. Within a few minutes walk of the hotel you find the Napa Valley Wine Train. The station is a well stocked shop full of wine and other souvenirs and is where you will meet the staff of the train and will be introduced to the Wine Train Experience. The railway line from Napa to St Helena is 42 miles long and was originally built in 1864 by Samuel Brannan to take tourists from San Francisco Bay to Calistoga. 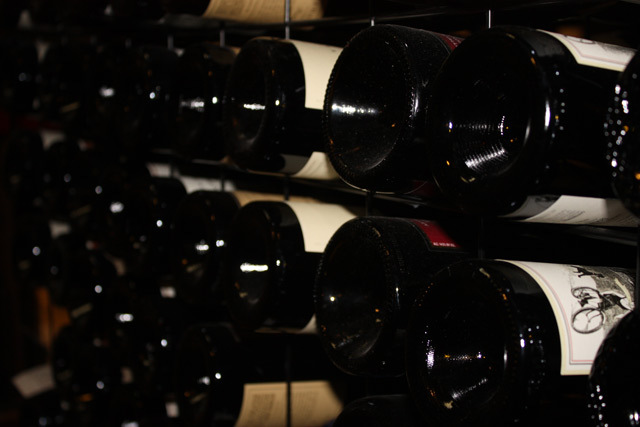 Today it is home to one of the finest restaurants in the Napa Valley. 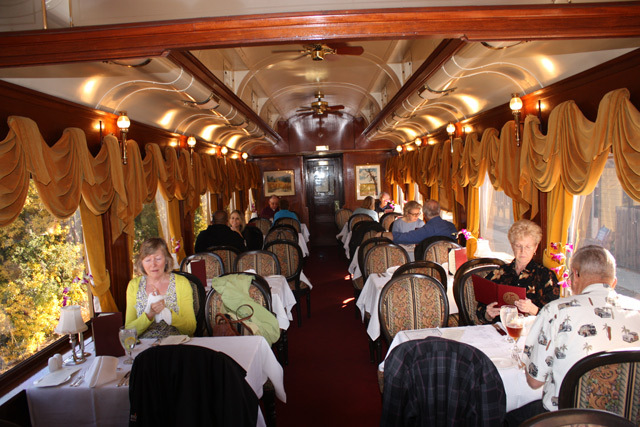 The restaurant is pulled by reconditioned locomotives from the Canadian Pacific railway and is housed in expertly refurbished Pullman cars to create an atmosphere that ensures relaxation and enjoyment. Executive chef Kelly Macdonald and his team work in the restaurant kitchens adjacent to the luxury dining cars and produce a menu that would delight the most discerning diner. Avoiding scalds and sharp knives as the train rattles along, they produce a three course meal that is delivered with a choice of wines to match the courses on offer. You simply sit back, sip the wine, enjoy the food as the scenery that has made the Napa Valley famous glides by. Kelly and the team are committed to ensuring you have a memorable time. Kelly learned his first dishes as he helped his grandmother prepare food for the family and appreciates the value of the finest ingredients as he tends his vegetable garden in his home in the foothills of the mountains. All food ingredients are grown and reared in an environmentally free way from finest beef through to line caught fish. The lunch journey will take you around three hours and from the first sip of the complementary wine through to the final sip of coffee you will be glad you boarded the train and will agree that the team are right on track when it comes to quality and service. Napa Valley Wine train 1275 McKinstry Street Napa CA www.winetrain.com lunches from $114. This sounds like a fun trip and so luxurious. Wow that train looks and sounds amazing, very jealous! What a fab way to try wine. Lovely idea. That train looks so awesome! 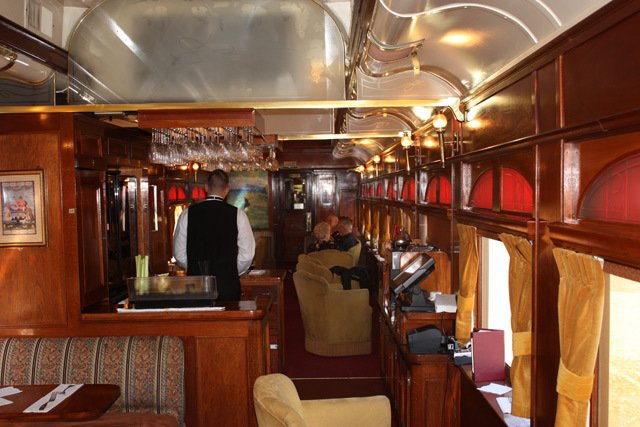 The interior looks like the luxury steam train I went on recently only they did’nt have quite as much wine on offer. What a beautiful building the Napa Inn is. That train looks incredible and what a fantastic trip that looks to be! Thank you for sharing!